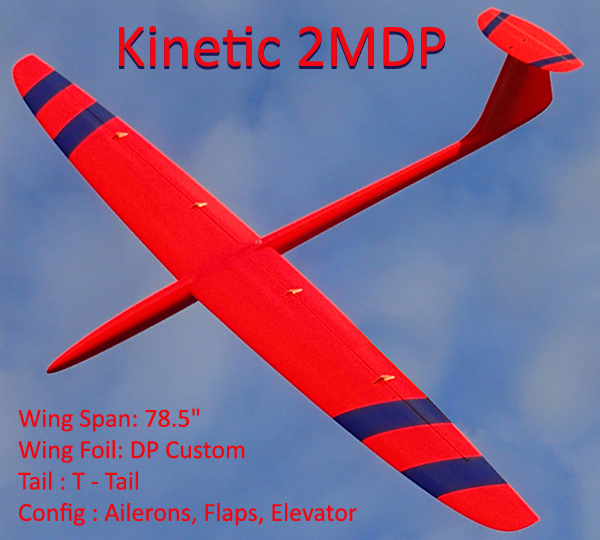 Introducing the all new 2m Kinetic DP! It has been designed specifically for high speed DS but with the unique set of airfoils from Dirk Pflug, it will excel in a wide range of conditions and flying styles. Its high aspect ratio wing (just over 17:1) and minimalist fuselage (by DS standards at least) is a very efficient airframe whether you are DSing at 450mph or simply cruising the frontside flying F3F style laps or pulling big halfpipe pumps. As usual, Steven Seim is credited with the CAD work and Thomas Pils with the machine work. Both have poured enormous amounts of time and energy into the effort to make sure that I was happy and that everything was made to exacting standards. Huge thanks guys!